So we thought we would bring it back. Our roving photographer Christopher Frost has been out and about around our town and looking for more people to feature and share their views..
“People will know me as the owner of Mish Mash at the Creative Corner. They can also see me pottering around the site keeping it neat and tidy”. 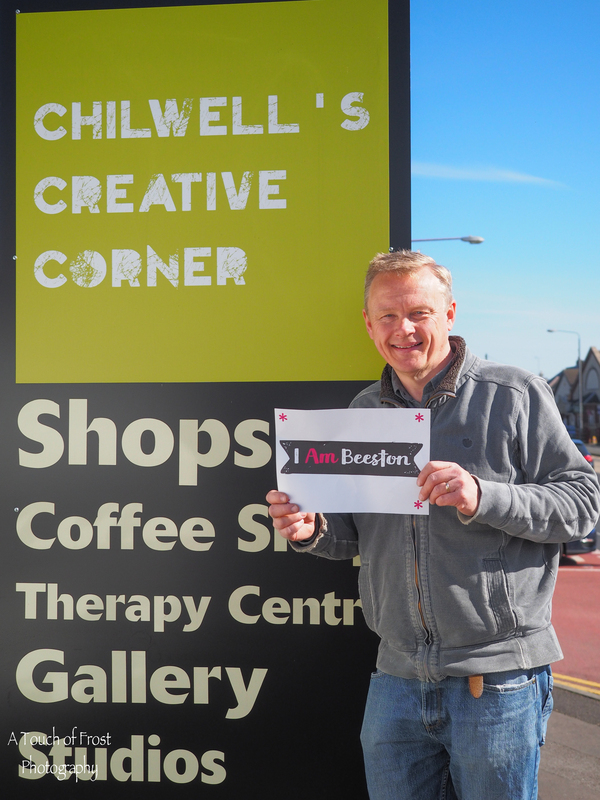 “I was born in Beeston, although I have lived in Mapperley and Breaston. I love the feeling that the town is something special, full of enthusiastic people. The Blue Plaque scheme is great”. “The one thing that does annoy me are people who drop litter. I would like to see more public art and I think the new ‘Beeston’ sign on Lower Road should have been bigger and not just angled in such a way that only the tram passengers can see it”.